I’m about to commit personal finance blasphemy. Unless you make more than $100,000 per year, do not max out your 401k. Yeah, you heard me right. And don’t think I’m just saying you should max out your IRAs first. I mean leave some of your contributions below the limits. Why? It all has to do with financial security. Many of us get way too wrapped around the axle about taxes. Don’t believe me? Just go out during a sales tax holiday and see the crazy crowds. Never mind that they are seeing a sale of 9% where they would normally not get out of bed unless the sale was at least 25%. There is just something about not needing to pay taxes that gets everyone excited. The same goes for stores and car dealers who say that they’ll pay the sales taxes for you. Great excitement despite what is really a small discount. The same thing happens with 401k and IRA accounts. We see that tax deduction and think that we should do all that we can to reduce our taxes, so we should, therefore, max out the 401k, IRA, 403b, or whatever other accounts we have. After all, why bring the money home and pay taxes on it now when we can put it into an account and pay taxes later? The reason for not maxing out your retirement accounts is that by overdoing saving for our retirement, we can make ourselves cash flow poor in the meantime. Everyone should certainly be putting away 10-15% of his/her income into a retirement account since that kind of savings rate will be needed to save up enough to get you through a long retirement comfortably. Even if your employer matches 10%, you should still be putting at least 10% away. This is both because retirement without enough savings is a scary place and because if you are only putting away 5% because you’re getting an employer match it will be difficult to increase your contributions in the future should your employer decide to no longer make the same match. But if you’re making $60,000 a year and trying to max out your 401k account, putting the full limit of $18,500 away each year is way overkill. Sure, you’ll retire a deca-millionaire, but how will you have the cash needed to pay for big home repairs like new roofs and new A/C units between today the day that you can access that money in your late sixties? How will you save up money for your children’s college expenses? How will you pay for weddings? How about vacations? What about paying for cars? If you are putting too much away for the far-future and forgetting about the near future, you will probably go into debt. You’ll get a home equity loan to pay for the home repairs and maybe weddings. You’ll see your kids take out student loans and maybe get some parent loans yourself. You’ll pull out the credit cards for vacations and slowly see a balance increase until you’ll paying huge amounts of interest payments each year. In the end, you’ll probably raid the retirement accounts, paying a 10% penalty on top of the taxes, to pay off your debts after you’ve already paid out a bunch of money in interest. 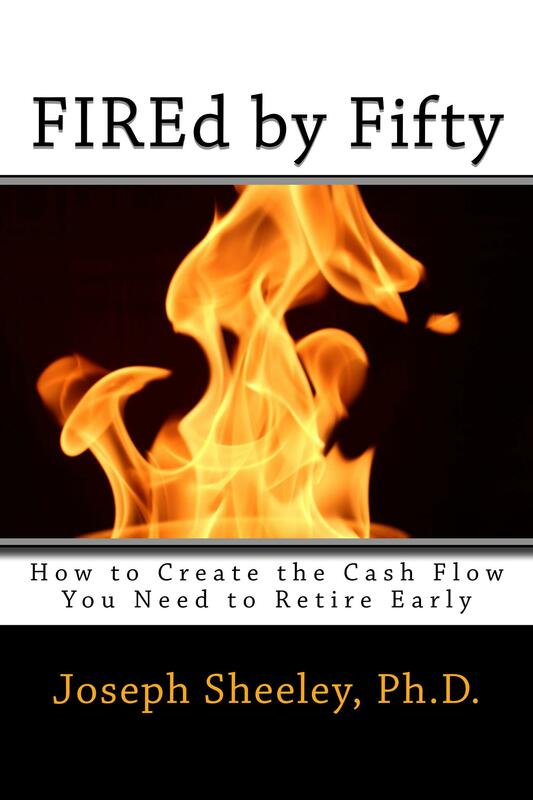 In the cash flow plan I lay out in FIREd by Fifty , you put away 10-15% of your income into retirement accounts first since it is more important that you have enough in retirement savings to protect yourself than for you to pay cash for a roof, but after that your attention is directed towards building up a portfolio of assets that you can sell as needed to generate cash for the various big expenses that come up. You also put money away into college savings accounts so that you can use the powers of compounding to reduce the burden of paying for college and so that you and your children can avoid student loans. Another reason to not overdo retirement savings is for your security today. If you’re cash flow poor, it means that you don’t have the ability to build up a strong emergency fund and then start to build up an income portfolio. An emergency fund is a pile of cash that you keep to pay for the little emergencies that come up so that you don’t have to whip out the credit cards. It also provides you some cushion in case the bills come due a few days before your paycheck comes in. Income investing does just what it say: It provides you income through dividends, interest payments, and capital gains. As you build up income assets, provided you don’t increase your spending at the same rate, you’ll increase the amount of free cash flow that you have. 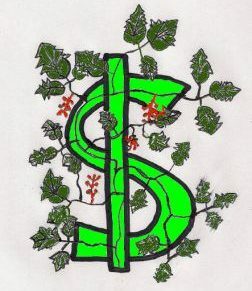 Free cash flow is money that is not already spoken for, meaning that you can use it for things like special, one-time luxuries like cruises and Broadway plays, use it to save up for things like cars so that you don’t end up with car payments and the interest payments involved, or use it to buy still more income assets. Keep buying income assets and eventually, you’ll end up in that magical place called financial independence where you make enough passive income from your income investments to cover all of your expenses. At this point, you even have the ability to retire early or change careers into something that maybe doesn’t pay as much but which is more rewarding than the job you perhaps started with purely for money. The more you have income investments and savings accounts in general, the more security you have. If you lose a job but you have $100,000 built up in an investment account beyond your emergency fund, you can sell assets off as needed to pay for things until you land the next job. If you are able to pay off your home early because you have the free cash flow needed, you no longer need to worry about making the mortgage payment. If you have a medical emergency, particularly a mental health issue (which insurance often doesn’t cover or cover well), you have extra income being generated to help pay for expenses as well as the ability to sell off assets as needed. You have more options since many of the best doctors don’t take insurance or don’t accept insurance as full payment, particularly in the mental health area. If all of your money is in a retirement account, you lose all of this flexibility. You can’t touch the money without paying a big penalty, so you’ll lose most of the security that having a big portfolio provides. There is no law that says you are only able to use money in a 401k or IRA for retirement expenses. In fact, it is generally advantageous to let your retirement accounts continue to grow for as long as you can because that money is either tax-deferred or tax-free. If you build up a set of income assets in a taxable account, that money can be used to help fund your retirement as well so that you can let your retirement accounts grow. Putting money away into an HSA instead of maxing out your 401k is also a great move since the money is triple tax-advantaged. This means that you are not taxed on the money as it goes in, the money is not taxed as it grows, and the money is not taxed when you pull it out if you use it for qualified medical expenses. If you pull money out of your 401k to pay for the many medical bills you will probably have in retirement, you’ll be taxed on it at that point if it is a standard 401k and you will have already paid taxes on it when you put it in if it was a Roth 401k. If you use money in an HSA to pay for your expenses, that money and the interest earned will never be taxed, meaning less of the time you spent working will go towards medical expenses. In conclusion, while you should make putting away enough money for retirement a priority, particularly when you are young since it is easier to fund retirement if you start early than if you wait until later, don’t put away more than you need to fund a comfortable retirement. Instead, be sure to build up savings funds for the many big expenses that will come up, build up income assets for financial security before retirement, and put money away into an HSA for medical expenses since the accounts are triple tax-advantaged. It is great to save on taxes, but avoiding taxes is not everything. Previous Why Doesn’t Working for Tips Work? I agree with this! While I like limiting taxes, using money to build a portfolio today is a very good strategy. I advise to always get the company match as it is free money but more and more I want to build up my active dividend portfolio instead of having it in my 401k where I won’t be able to use it until 65 1/2. All about generating cash flow and income! I came to the same conclusion through my research. My take was first emergency fund, then start building a mid term fund and the retirement. The mid term fund might be used for the wedding, the home down payment, or something else. Still, you need it there. The trick is over time to grow them all until they are the level you need it. I wish I learned this in my 20s though! In FIREd by Fifty I have what I call Big Expenses Funds, but they effectively get lumped together into a mid term fund. They also get invested since they never come up all at once so you can take a little risk and let the stock market help you. People who budget often forget these things, so they do well for a while, but then end up taking out loans anyway. Good stuff here as usual! I’m afraid we’ll need to disagree on this point. While there may be ways to get to some of your money before retirement without paying penalties, I don’t see a need for someone making $50,000 per year to squirrel away $19,000 each year for retirement just because the tax laws say he can and then not have the money needed to pay cash for things and make other good financial decisions. If you have plenty of disposable income to do both, that’s one thing, but people get too fixated on saving money on taxes and miss the big picture. Case in point: the mortgage interest deduction.